Haven’t you ever wanted to visit the place where they filmed The Lord of the Rings movies? And we’re not talking about the studios. We’re talking about New Zealand. You know, the country that has more sheep than people, and whose capital city is Auckland. 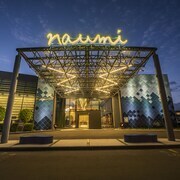 Speaking of Auckland, this place is perfect for your next holiday. Think about it: you can bungy-jump from the Auckland Bridge, catch a rugby game and take a wine tour all in one day. You in? 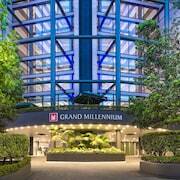 Of course you are; that’s why you’re going to book one of our awesome Auckland hotels and have the time of your life. How do I get to Auckland from the airport? No matter where you’re flying from, you’ll land at Auckland Airport (AKL), 21km from the city centre. 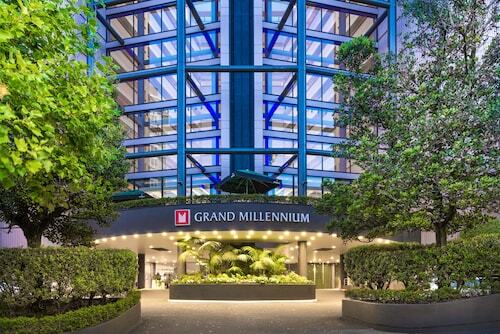 From there, getting downtown and to your Auckland accommodation is as simple as hopping in a taxi, riding public transport with the bus people or renting a car. 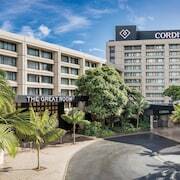 What are some of the most popular hotels in Auckland? 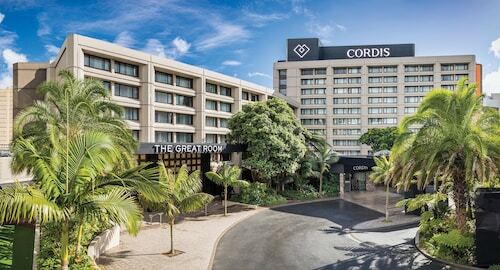 What kinds of hotels are there in Auckland? There are all kinds of hotels in Auckland. Whether you’re looking to be pampered beyond belief in a multi-starred joint or want to rough it in a backpacker’s hostel, there’s something for you. 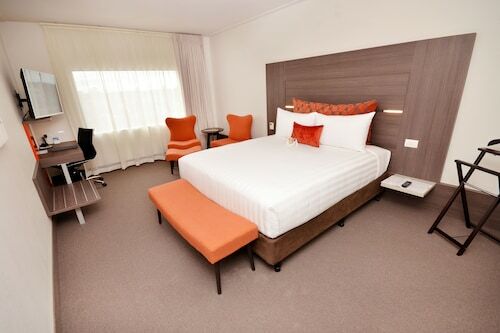 Rendezvous Hotel Auckland: Welcome to the land of luxury. Getting pampered takes on another meaning when you’re at the Rendezvous. After your spa treatment—which includes a massage and ample time in the sauna—comes to a close, you’ll head up to the rooftop garden with a glass of wine. Cheers! 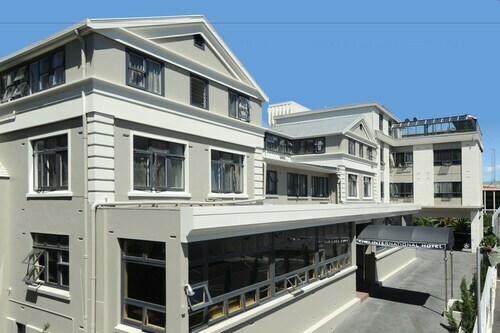 Nomads Auckland Backpackers Hostel: This isn’t the type of hostel you’ve always heard about. On the contrary. This place is more like a luxury resort that calls itself a hostel. No better way to meet new people from faraway places, right? 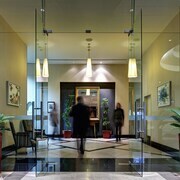 Waldorf St. Martins Apartment Hotel: Welcome to your home away from home. 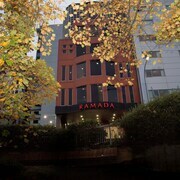 There’s all sorts of cool stuff on offer for you, like room service, on-site dining and maid service. Man, even we want to stay here! 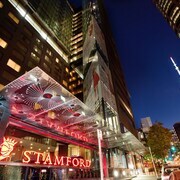 Where should I stay if I’m visiting Auckland? There’s Newmarket, where a number of retail streets are located. Parnell has the Auckland War Memorial Museum. And don’t forget about the Wynyard Quarter on the waterfront, where bars and restaurants line every avenue. 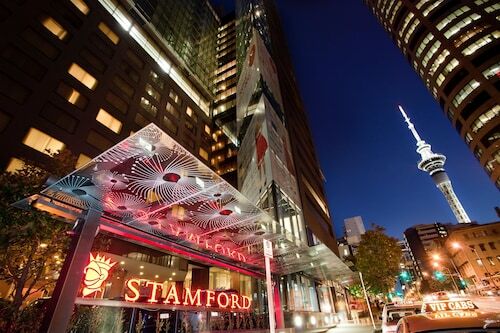 Here’s our list of best places to stay in Auckland. What are some things to do in Auckland? When you’re ready to leave your accommodation in Auckland, the possibilities for fun are endless. Sky Tower: From the top of the tallest building in the city, you’ll be able to see forever…at least, almost forever. And if you really want to get a thrill, sign up for the bungy-jump experience. It’ll probably be your most exciting and scariest moment of all time. Mount Victoria: If you want to get amazing views of the city without having to take an elevator to the top of a skyscraper, go for a nature hike up Mount Victoria in Wellington. Bring a bottle of local sauvignon blanc and cheers to yourself while overlooking the city. You deserve it. Eden Park: Nothing is more New Zealand than a good ol’ rugby match. Make your way to the country’s largest stadium and get rowdy with the locals as they cheer the national team, the All Blacks. Be sure to get there early so you can watch the team perform their famous and terrifying haka war dance. You may need a new pair of pants after this one. Enough is enough already. Stop fooling around, will you? 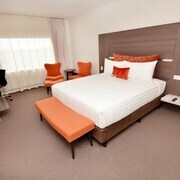 The time to book one of Wotif’s Auckland holiday packages is now, because you deserve a getaway. And when your time in New Zealand’s biggest city is up, extend your trip by paying a visit to Australia’s Northern Territory. Check out our deals on Darwin accommodation and make the 8-hour flight to Oz! 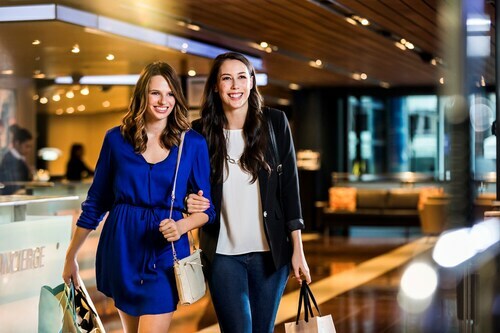 Need insider tips on must-see attractions in Auckland? Check out our Auckland travel guide! 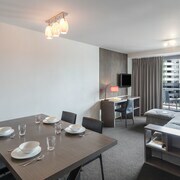 Hotels in Auckland start at AU$130 per night. Prices and availability subject to change. Additional terms may apply. Helpful friendly staff. Nice quiet room and able to darken well for trying to sleep during the day.